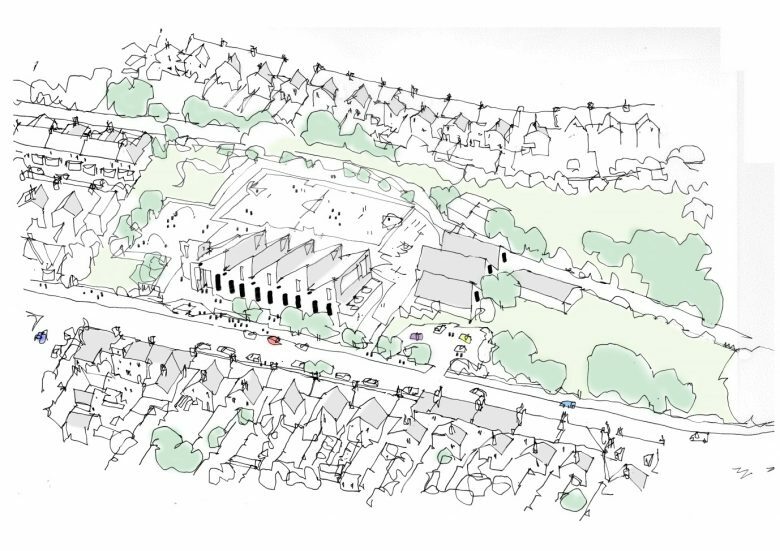 ECE Architecture has received detailed planning permission for a new junior school on Barton Road in Dover. The design proposal replaces the existing Victorian buildings which are no longer fit for purpose and fail to meet modern energy standards. ECE have located the new building on the site to create a wider range of external play spaces. Internally a vastly improved teaching and learning environment will be created. A new multi-pitched roof design has been developed to be both distinctive and to echo the rhythms of the surrounding architecture and the previous school buildings. External materials are principally facing brickwork and standing seam zinc, to fit into the surrounding context while providing a fresh new face for the school. The emerging design was modelled in its context with particular importance given to the view towards Dover Castle on rising ground to the east.